Nope, not dead… just busy and overworked. 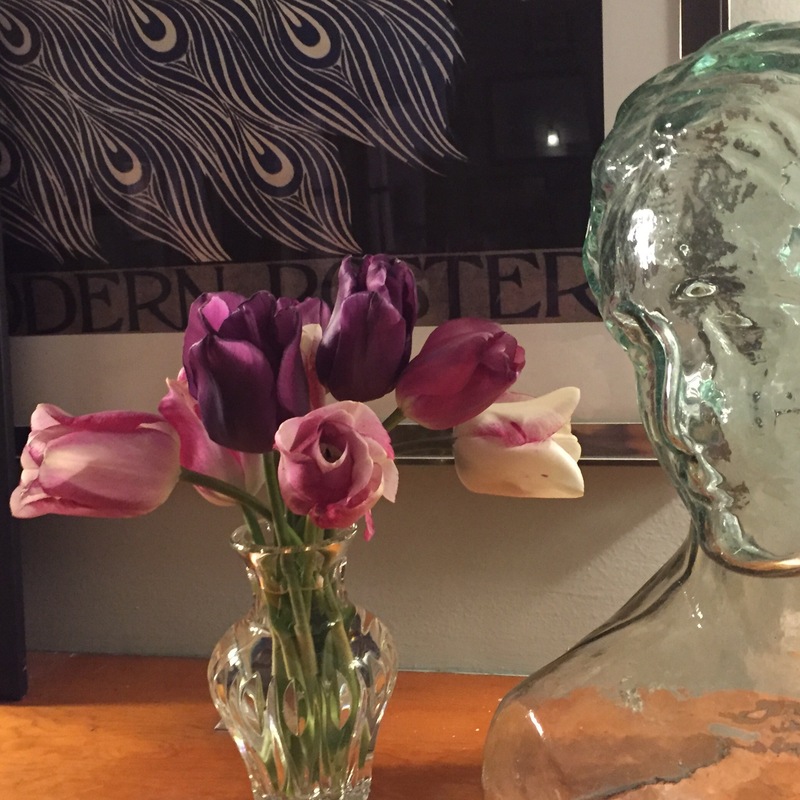 These tulips are from my garden. Happy spring! I had a little baggie in my freezer with about 10 harmless-looking little peppers in it. My friend from Trinidad gave them to me last year, fresh from the garden. At the time she warned me they were hot, but I forgot. Beware those island peppers, oh my. I wish I had a picture of those little peppers, if only for specimen identification later. 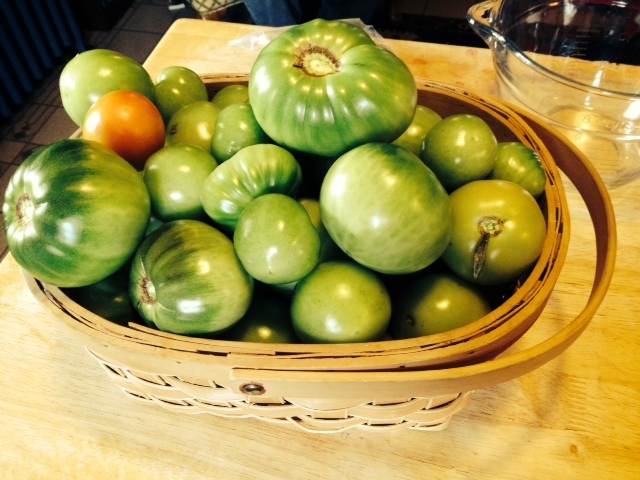 The tomatoes had a late run of productivity and were hanging green on the vines. Prima was anxious to use them, not wanting to let any of her hard work gardening go to waste. 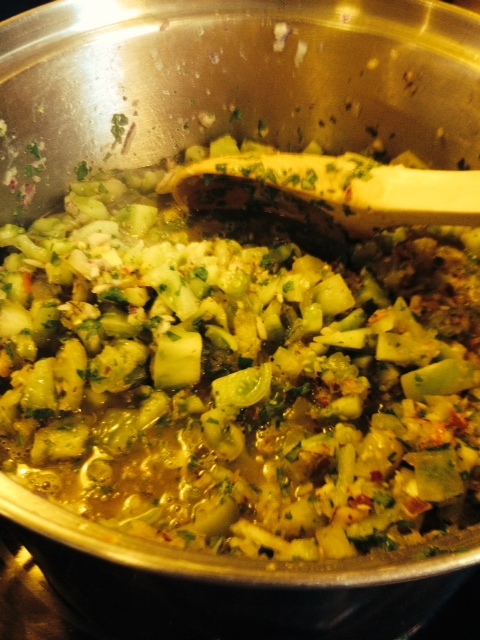 Fresh salsa from the garden. 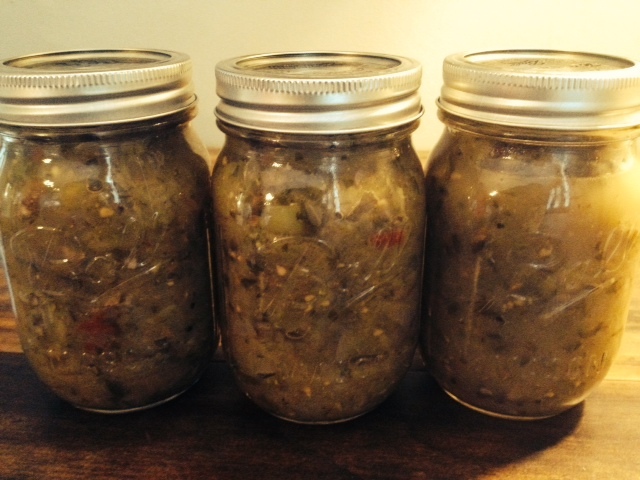 I modified this recipe, Green Tomato Salsa Verde from freshpreserving.com. It is really quite tasty, even if only people from Texas are able to eat it. This is a great way to use up the last of summer’s fresh produce. Here’s a hint: if you start sneezing uncontrollably while making salsa, ease up on the peppers. If you went overboard, then add a little sugar or honey and extra citrus. I added the juice from two additional limes and a tablespoon of honey and was able to bring the heat down to merely tearing up instead of sneezing. I blame Pinterest. However, the photograph below is not from Pinterest, but from my backyard last Friday evening. 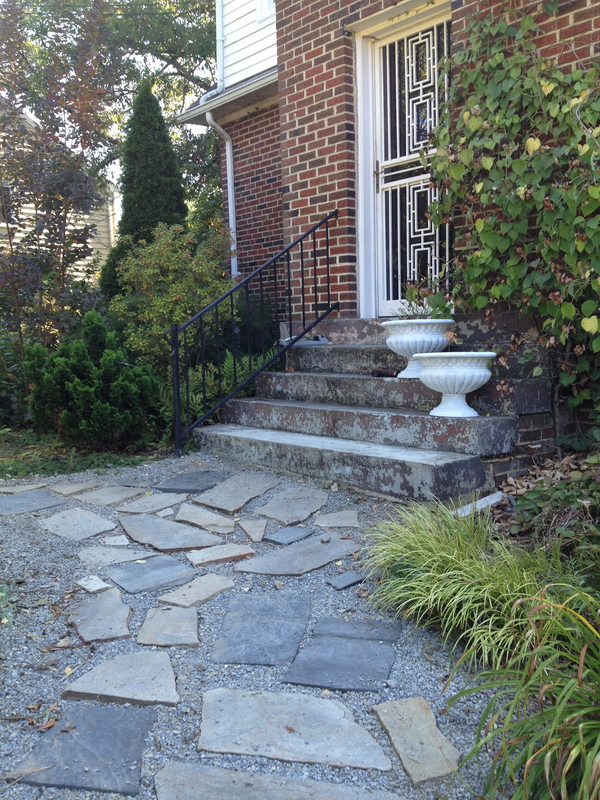 I have a beautiful yard, a beautiful husband, and a knack for stressing him out with my big ideas. I wanted to celebrate his 40th birthday in style while he just wanted to forget about it. Pinterest is eye candy for decorator types. Stunning visuals at your fingertips that make one lust for all things better around the house. 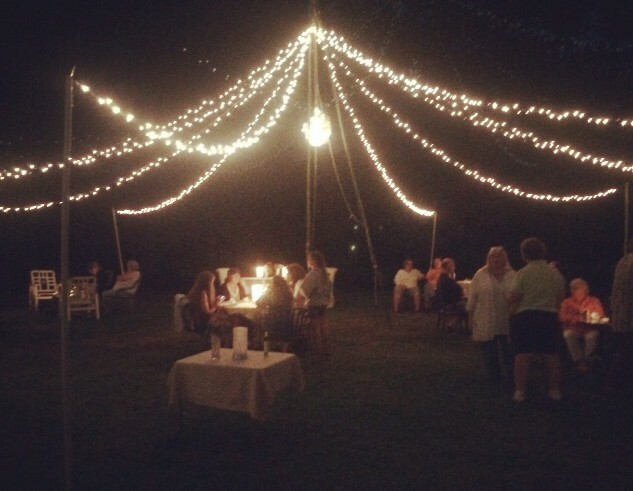 Last Friday evening I threw a party that was worthy of Pinterest. Except it was better. On Pinterest you don’t get to hear the jazz trio playing, or taste the lobster canapés. You don’t get to feel the breeze, smell the wildflowers or watch the candlelight glimmer and the children run around with sparklers. It was magical and it was REAL. Then there was the cheese. I made a cake out of cheese. 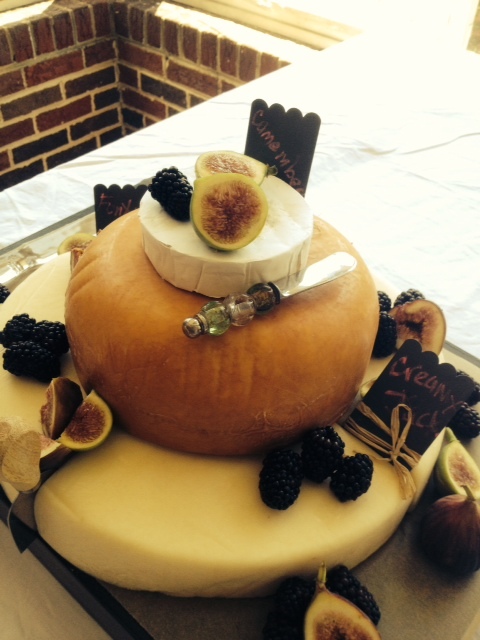 This “cheesecake” was made of Fontina, an organic smoked Creamy Jack, and Camembert. 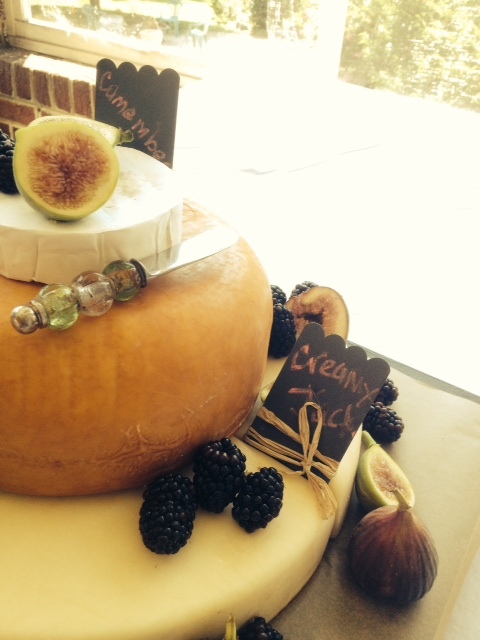 I cut up fresh figs and sprinkled the cheese with blackberries. I used mini chalkboards for labels. It was enough cheese to please Wallace, Gromit and a hoard of people at my party. 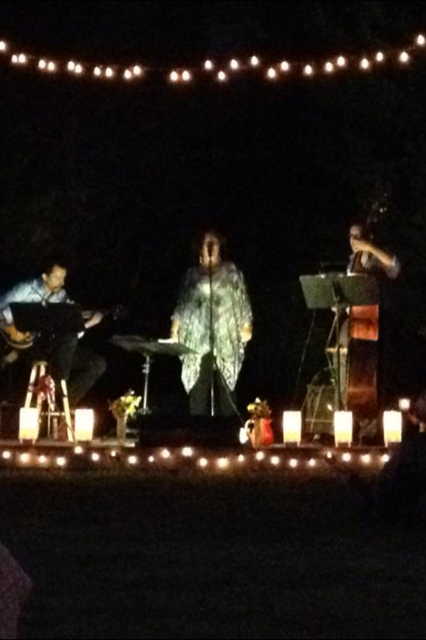 It was both easy and elegant, perfect for a beautiful summer evening. © Mariam d’Eustachio @ Simply Turquoise 2014. 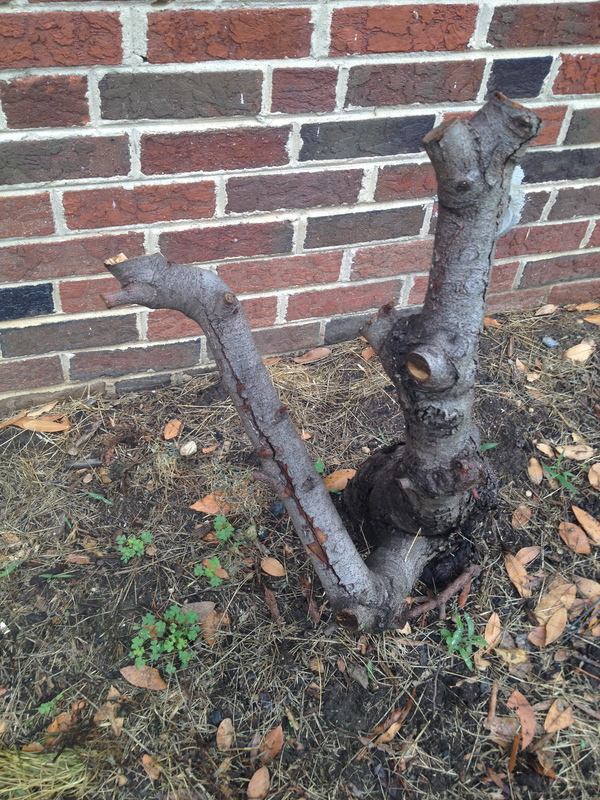 This was a harsh winter. The only plants that seemed to survive were the weeds. My bay plant, rumored to be more than 50 years old, died. We cut it down and this is all that’s left. It was fragrant as we burned the old bay branches, in a funeral pyre sort of way. As we were chopping down and burning up the old bay plant, my mind was wandering and worrying about the nearby fig trees. I would go outside and snap a branch and hold my breath and hope that it was just late to leaf out and that these two fig trees were sleepy and taking their time to unfold after this extreme winter. Then I saw a little green! 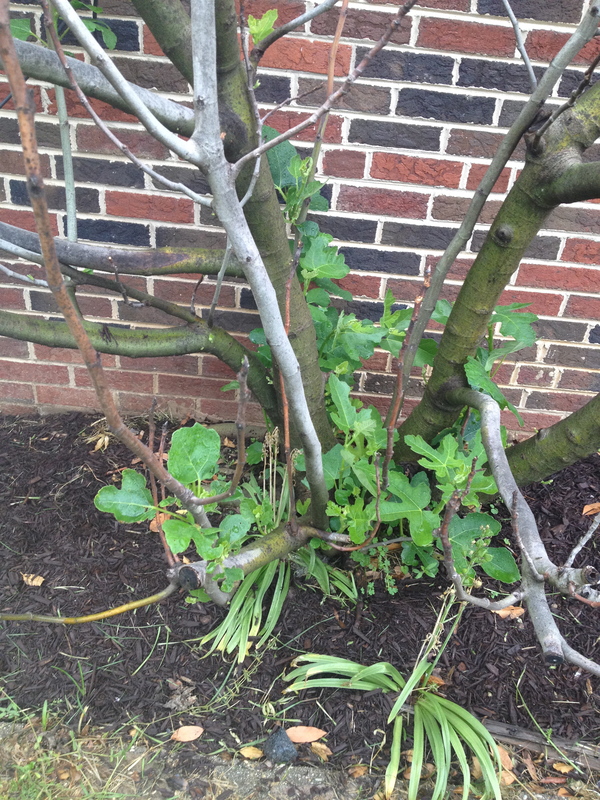 Turns out, the fig trees are only “mostly dead.” In the movie The Princess Bride, Miracle Max declares Wesley “mostly dead.” The trees are leafing out from the base of the trunk and I am going to need Miracle Max to come and help me coax them back to life. 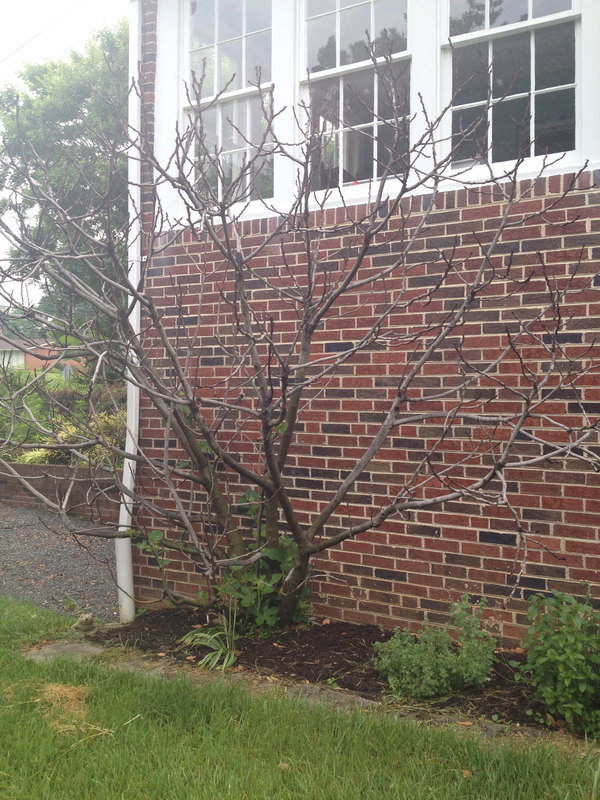 I will call my uncle, a botanist, and ask him for help: he’s a little like Miracle Max for trees. Perhaps their intentions are noble and the fact that I love them will be enough. The fig trees know that I bought this house just for them. They have listened to me play my flute outside the window for the last couple of months. Together we have suffered through hours of practicing as I prepared to play principal flute in Beethoven’s Ninth Symphony. Then again, maybe this has contributed to their demise. This clip is from a recent concert, taken on the sly from my friend’s lap. Her skirt is lovely isn’t it? This bit of the third movement is a piece of what the trees have been listening to from outside the window. Have a listen if you want to know what I’ve been up to lately and let me know how your plants fared this winter! I am trying to focus on the positive. For instance: Why yes I AM the sole breadwinner of the house! Doesn’t that give me a sense of accomplishment? Well, no, since we would all starve if that was normally the case. How does one cope with a government shutdown when one’s spouse works for the government? Well, assuming he is not too exhausted from reading the classifieds, I have come up with a way to keep him busy…The Old Honey-Do List! As we are approaching the fourth day of an unexpected furlough, and since we can’t cry in front of the kids on a regular basis, I am thinking up things to keep us busy. 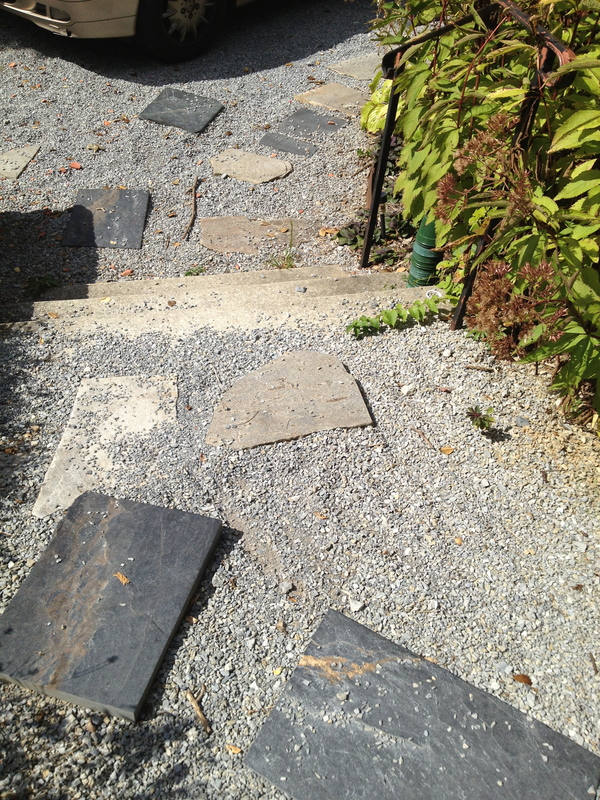 We relocated all of the scattered flagstones around the driveway and imposed order on our surroundings by building a path with them. It looks much better and did I mention this was cheaper than going to the gym? 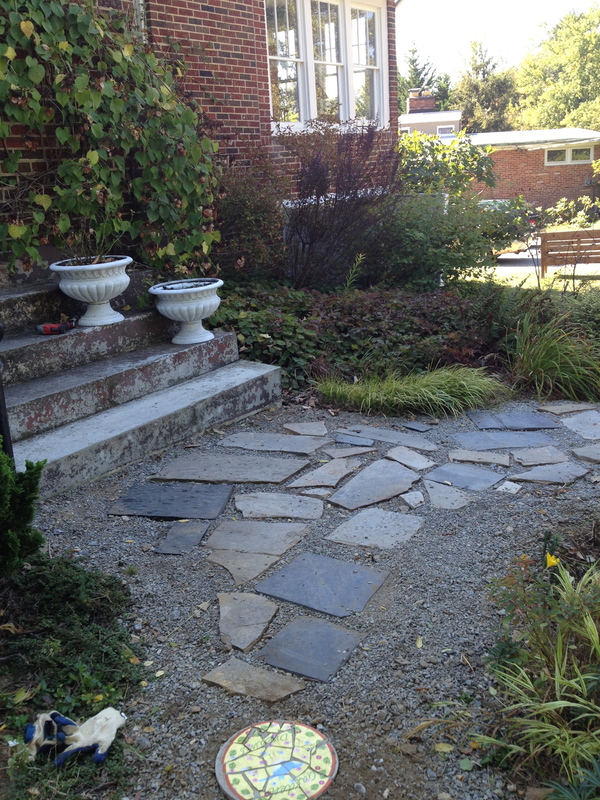 We are working on the yard, making regular trips to the free mulch pile, and sprucing things up. However, we may have to be furloughed for a year to finish our yard, otherwise known as “The Wild Kingdom.” But it’s a start. The Honey-Do List is as long as my arm and I am truly excited to dedicate some hefty hubby resources to getting things done around here. He is excited to have anything to keep his mind off of the fact that he is not working and not getting paid. 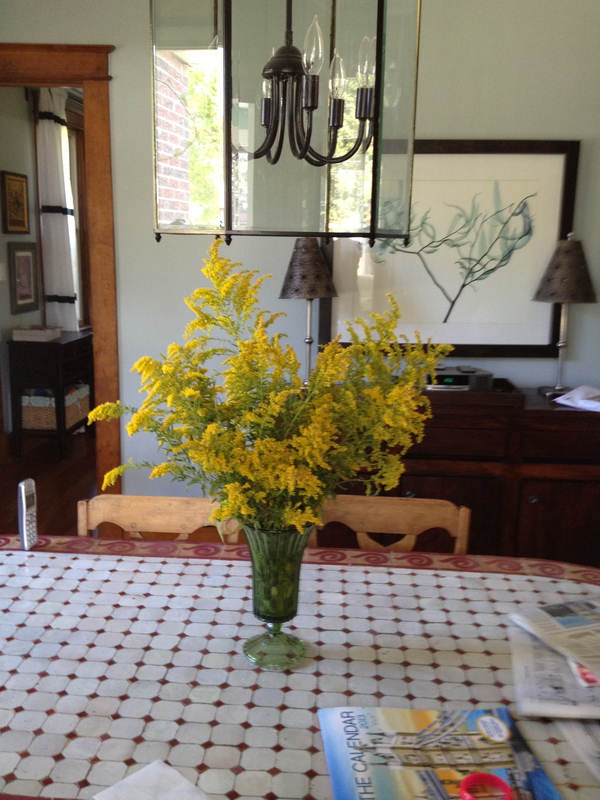 I added some flowers to the table, mess and all, to bring in some cheer and set a pot of lentils on the stove. If you need a cheap and incredibly tasty meal for your family, then click here for the best lentil recipe ever. If you are not affected by the government shutdown, thank your lucky stars and call your congressman anyway. And give the lentils a try; yes they are that good. 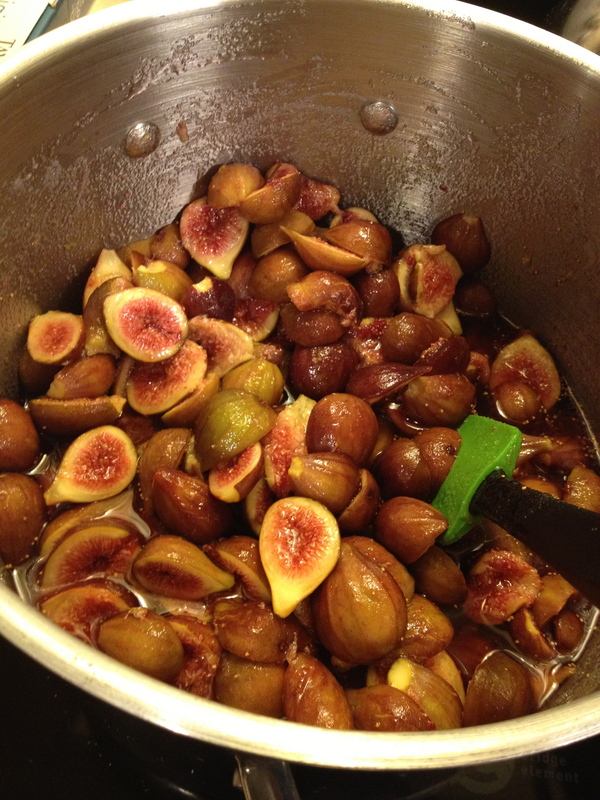 August around here means figs. 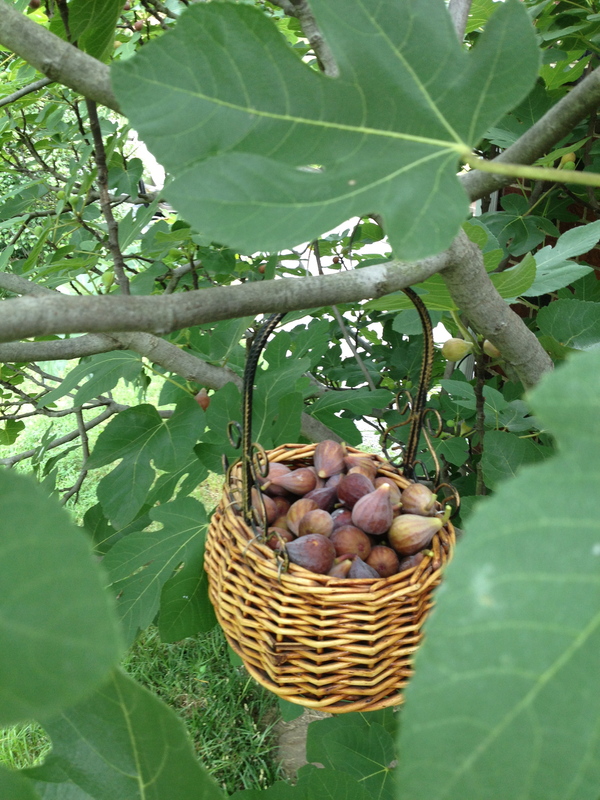 I don’t know if these figs are just happy because they know I bought two fig trees… oh and a house to go along with them, but they are expressing their appreciation in abundance, and these trees are producing 4-5 pounds of fruit every day. I love canning things you can’t really get at the store. 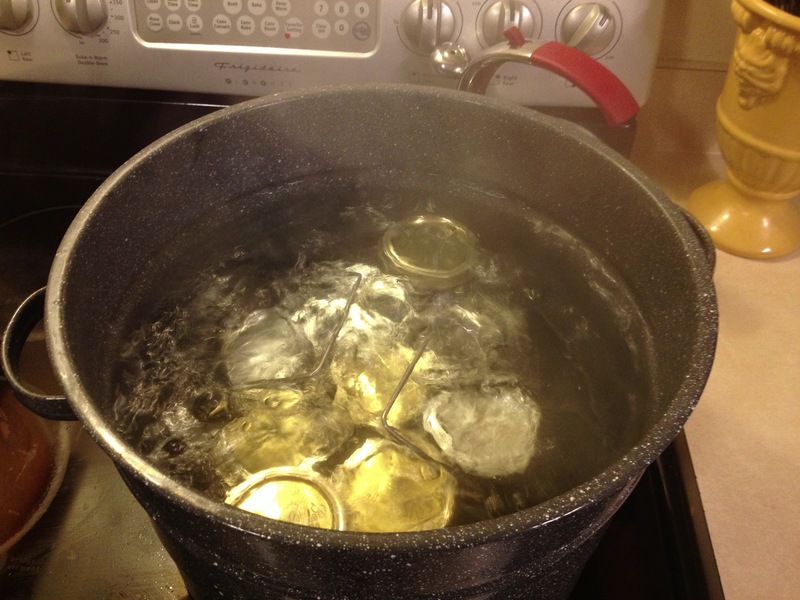 Canning is relatively easy if you invest in a few essential tools and it is like summer in a jar. If you have ever opened a quart of homemade applesauce in January, you know what I mean. Or tomato soup. 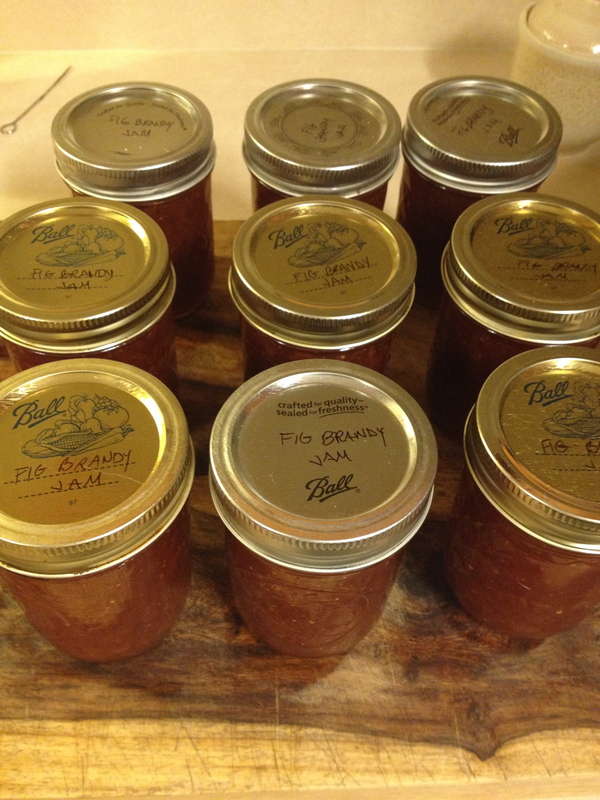 Or apple butter. There is truly nothing like it. 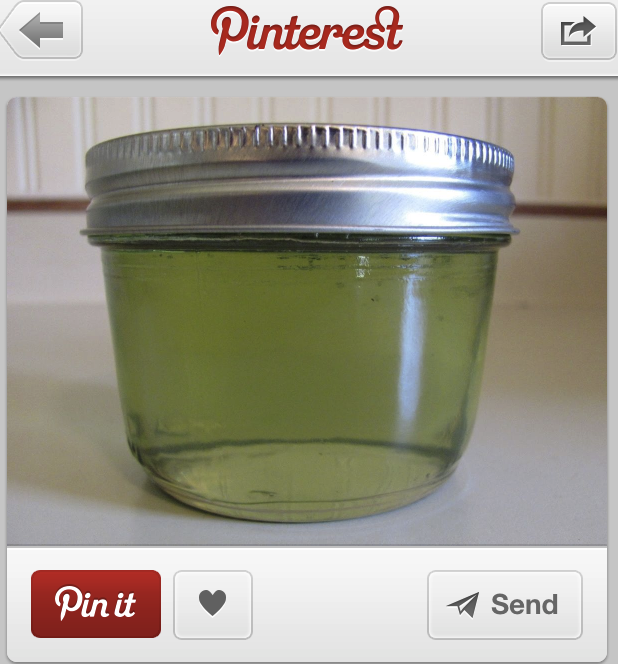 One side effect of canning is learning a little science along the way. Don’t worry, it isn’t that much. But you may learn how to create a vacuum seal, how to sterilize with heat, and how to keep a good acidic balance to your ingredients in order to safely preserve them. This is science in a nutshell, and useful science at that. It is addictive. Of course, if you’re anything like me, just about anything is addictive. However, there is some thrilling danger involved in canning and one is likely to get hooked. I am already thinking about the next item on my canning agenda: Basil Jelly. 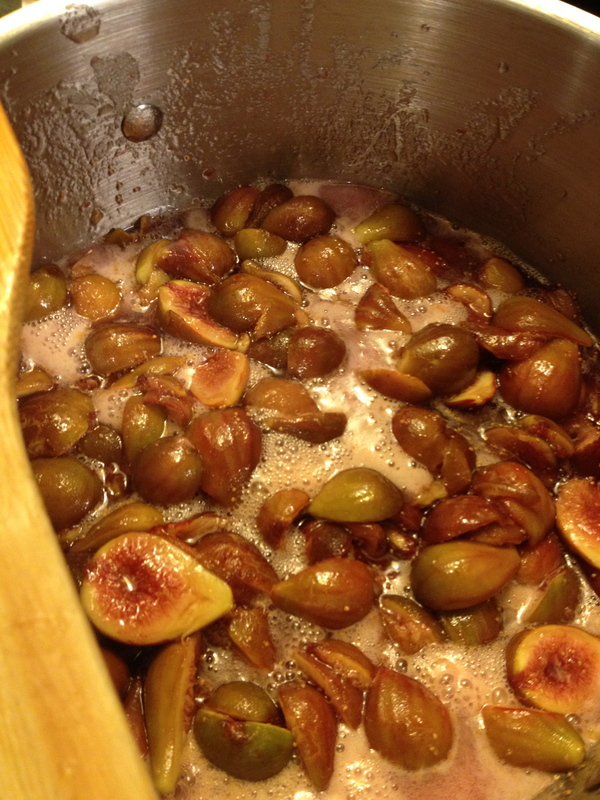 This recipe for Basil Jelly is from the blog Sweet Domesticity. The fall apples will be here soon and… Yum! Always use new lids and don’t forget to sterilize your jars and lids and rings in boiling water before you fill and process them. The freshest, most amazing home-grown or farmer’s market fruit and veggies you can get your hands on, including zucchini. It makes great pickles, I promise. I was recently inspired by my mom, who was rubbing the leaves of a geranium plant on her skin, to plant some mosquito-repellent plants. Moms are so smart. 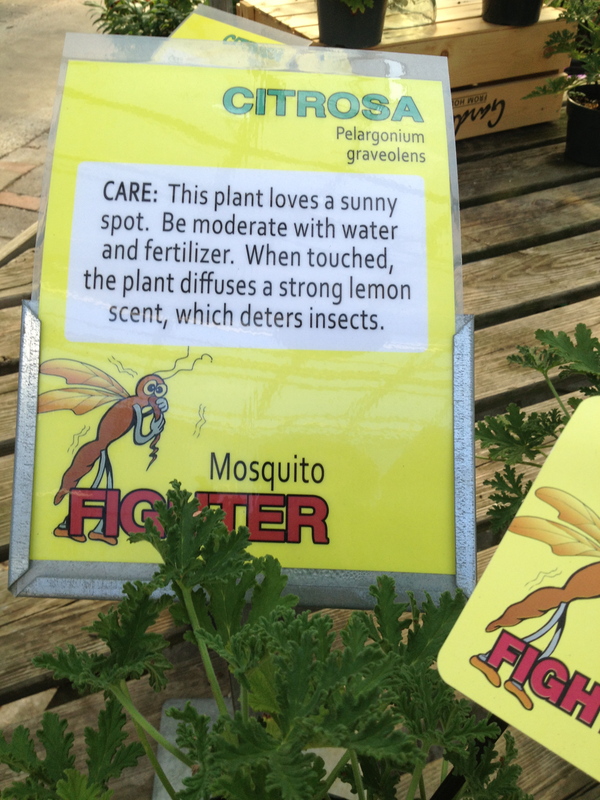 I ran to Behnke’s, our local nursery, and found this cute tag on a plant called “Citrosa.” It smells strongly of citronella and claims, with comic-book size proportion, to fight mosquitoes. Who could resist? I left the sign in the pot, to scare away the mosquitoes scarecrow-style. I bought several of these “Citrosa” geraniums. Other flowers that repel mosquitoes include marigolds and ageratum too. 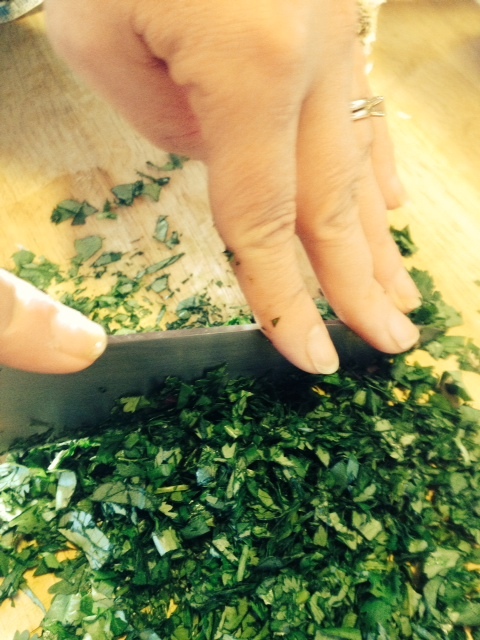 Next up, herbs! 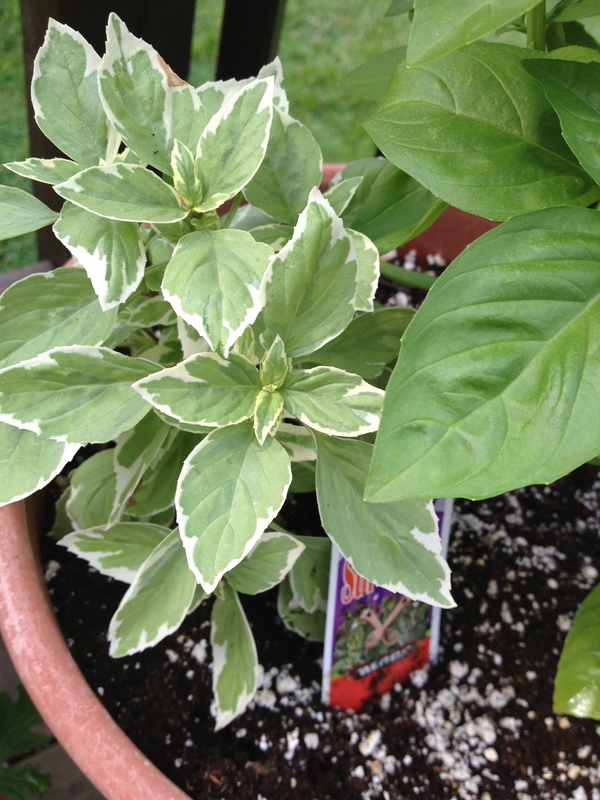 I planted a variegated basil and moved some regular basil out to the deck as well. 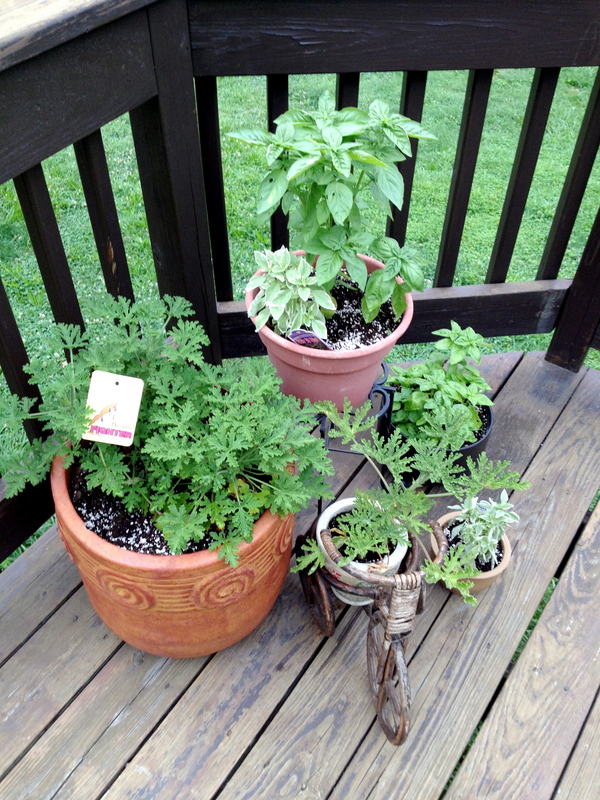 The strong smell of many herbs claim to fight off mosquitoes including lemongrass, thyme, and several varieties of mint. I gathered up pots and found a few more at the thrift store. 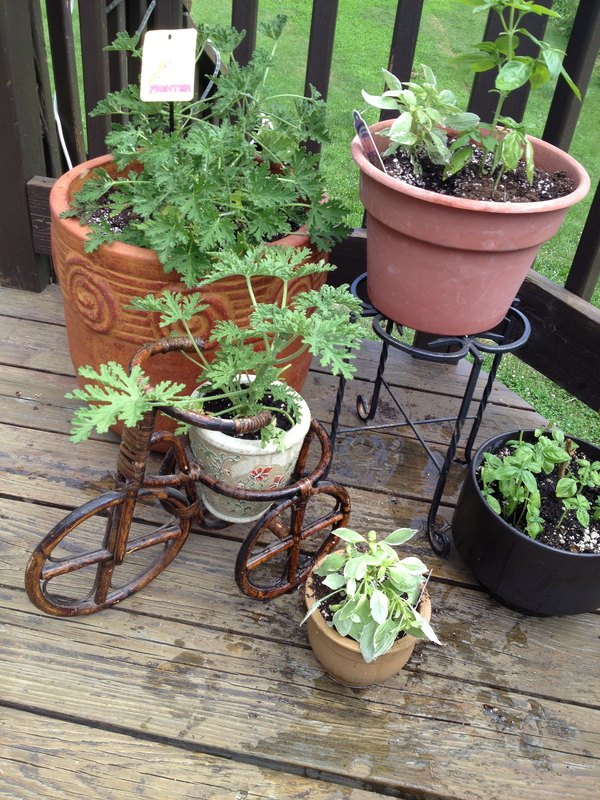 I am going to continue to add plants to the deck until the mosquitoes stop biting me. It will be a no-bite zone and the neighborhood kids will flock to my deck for protection. 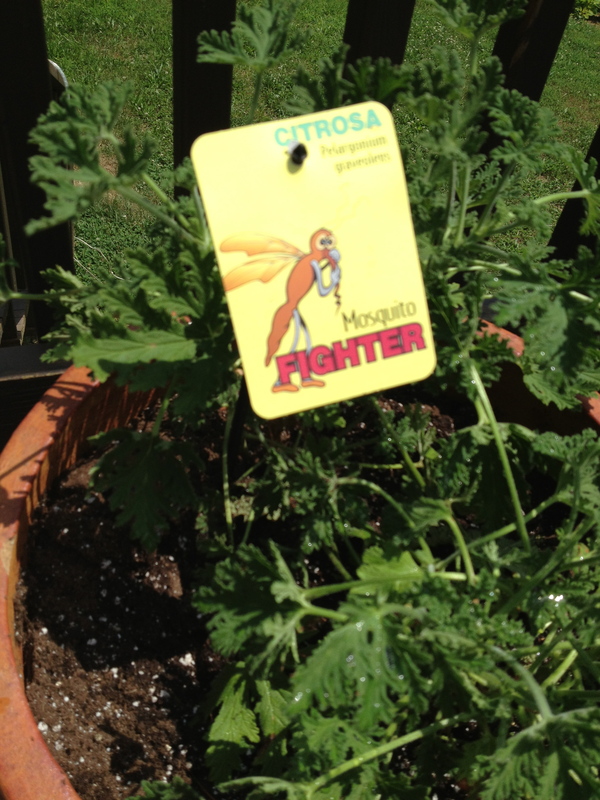 Gardening takes on a sadistic-type pleasure when it involves exiling the mosquito. I love it when beauty and function come together. That is my kind of design.